Sakura trees, or cherry blossom trees, have always seemed magical to us. 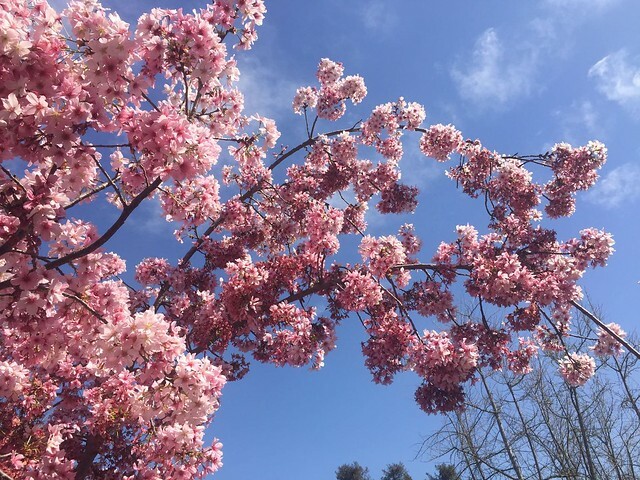 As a child, we used to see cherry blossoms in Japanese dramas and movies. 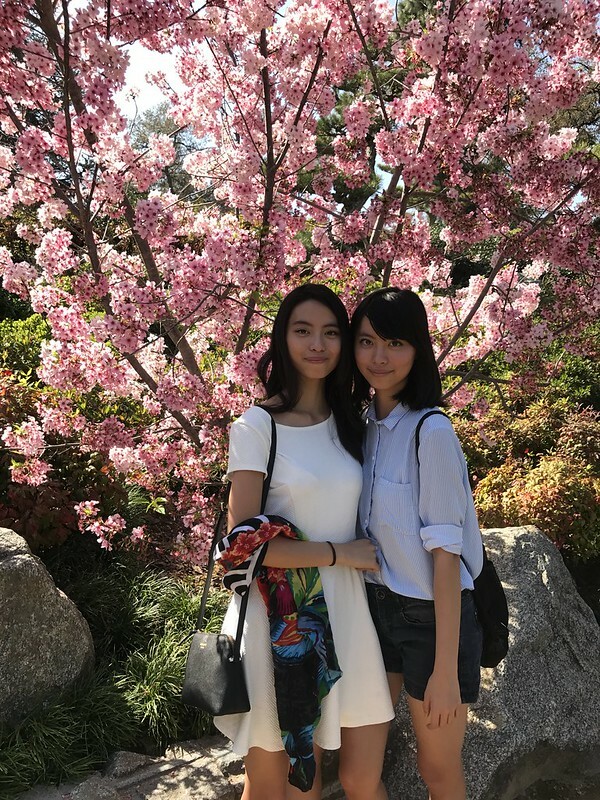 We’ve always wanted to know what it’s like to stand under the iconic pink-and-white petals, and we had the chance to do just that last week – not in Japan, but here in Los Angeles. 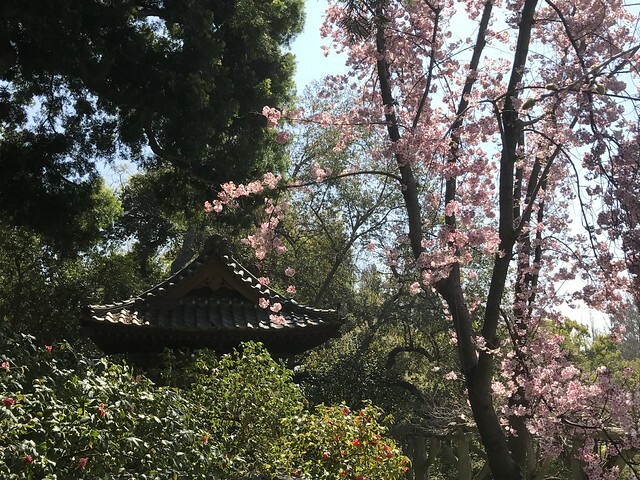 We discovered that LA has several gardens that host cherry blossom viewing festivals, or hanami. Hanami is a Japanese tradition that celebrates spring by appreciating nature’s wonders, including cherry blossoms. 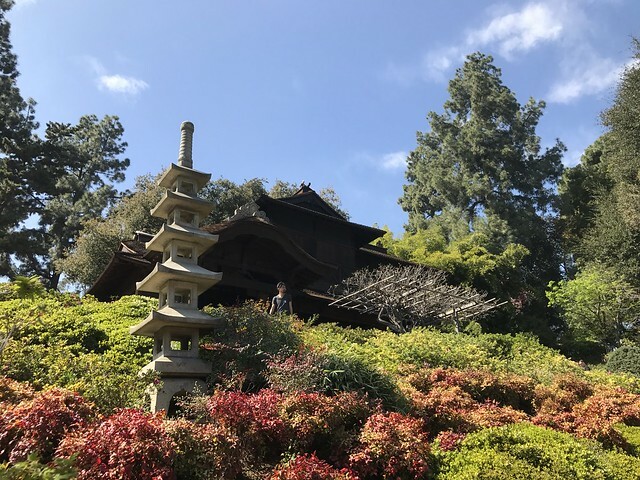 Last week, on a sunny Sunday afternoon, we went to the Japanese Gardens at the Huntington Library in Pasadena. Pink trees dotted the landscape, snaking around the winding path, the lake, and the traditional Japanese buildings. 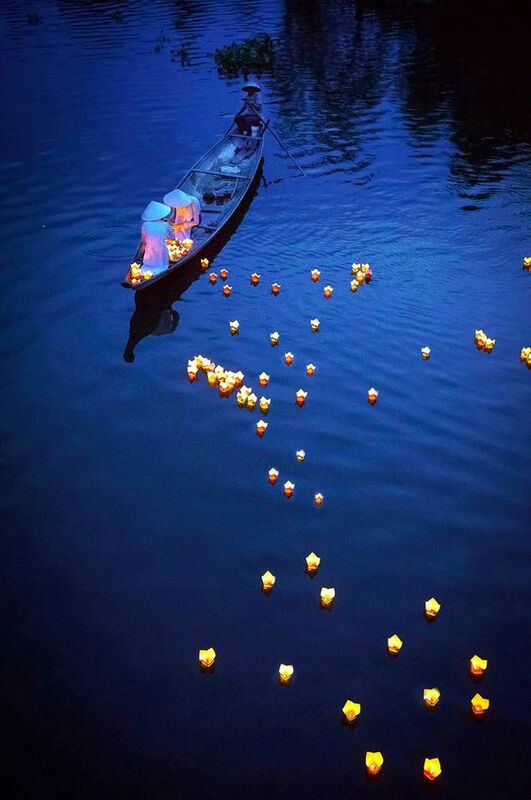 We could smell the sweet scent of the flowers in the air. As we walked under the trees, we could see small pink petals falling like a gentle rain around us. 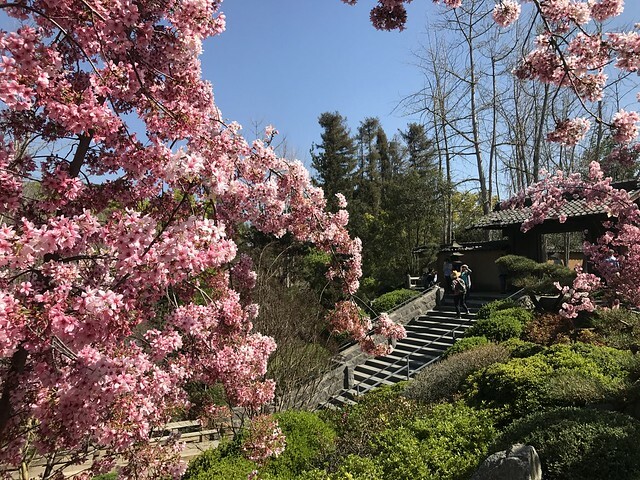 It was such a peaceful experience to walk along the path and to watch the pink flowers swaying in the wind and floating dreamily to the ground. At one point, a man asked us to take a photo of him and his girlfriend. We weren’t expecting him to get on one knee with a ring in his hand. She said yes, of course. Who could say no when surrounded by such beautiful flowers? 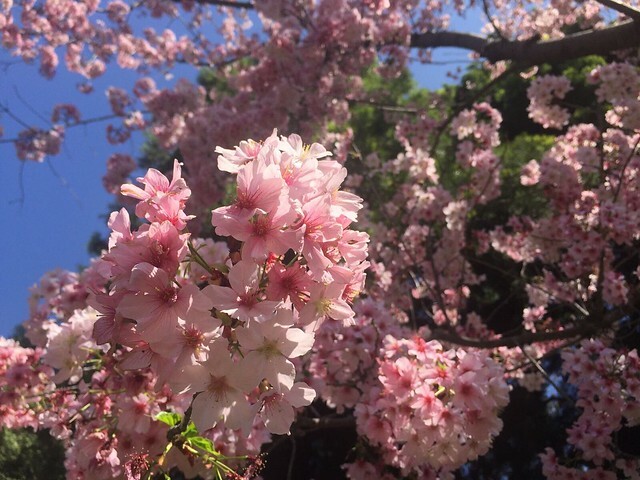 This entry was posted in Around LA, People and Culture and tagged culture, flowers, hanami, hanami in los angeles, inspiration, japan, japanese, la, los angeles, mypassengerdiaries, mypassengerdiaries travel blog, nature, on budget travel, personal experience, photography, things to do in los angeles, travel, travel blog, traveling, usa, wanderlust, where to find sakura in los angeles, where to find sakura in the united states. Bookmark the permalink. We look forward to reading that! We are a little concerned about the elevation…one of us don’t fare very well in high elevations. If you can tell us what helped in your experience, that would be great! Machu Picchu is high up, as is Cusco and Arequipa. I suffered a little altitude sickness in Arequipa before I remembered to take the pills I was prescribed by the travel doctor. Then I was back to normal and I enjoyed my whole trip. As long as you take the correct precautions and do some research before going it should be alright. If you’re talking about a fear of heights, then it’s up to you to know what you can handle. The paths and walkways on Machu Picchu are pretty well-defined if that helps at all. I don’t normally have a fear of heights, so I felt alright throughout the journey. I just got a bit sore from the workout of doing the trek up. It does help! We are concerned about the altitude sickness but knowing that there are pills and doctors to help with this is encouraging. Did you get the pills in Peru or your home country? Wonderful spring-like images make me wish to be in LA right now! Only gradually and reluctantly is Old Man Winter retreating in our corner of the world. We are glad that Spring comes early this year…we know that in other parts of the US, it’s still snowing! It really was beautiful. The sakura flowers make the garden pop up with colors, even when the other flowers have not bloomed.